Spanish footballing icons, Andres Iniesta and Fernando Torres made their first appearances in the J.League recently, but both ended up finishing on the losing side in their respective fixtures. Iniesta, who won everything there was to win in Spanish football with Barcelona, signed for Vissel Kobe. Meanwhile, Fernando Torres left his boyhood club Atletico Madrid this summer to sign for Sagan Tosu. It was a particularly poignant debut for Iniesta given that it was his first official match for any other football club than Barcelona, after making 674 appearances for the Catalan giants. 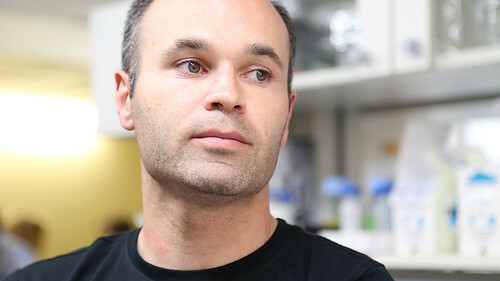 After Spain’s exit from the 2018 World Cup, Iniesta made his way to Japan to immerse himself in his new surroundings. A lack of match sharpness meant that he was only ready for a bench role in Vissel Kobe’s 3-0 defeat to Shonan Bellmare at the Kobe Wing Stadium, with the Spanish magician coming on for the final half-hour. It was a disappointing result for Vissel, who failed to follow up their recent 1-0 away win at V-Varen Nagasaki. The defeat leaves the Rakuten-owned club some 16 points behind runaway leaders, Sanfrecce Hiroshima, who have dropped just ten points from their opening 17 J1 fixtures. Like Iniesta, Fernando Torres was also a second-half substitute when making his first appearance for J1 League strugglers, Sagan Tosu, who suffered another disappointing home defeat at the hands of Vegalta Sendai. Some 17,500 fans turned out to witness Torres in action, but his debut was overshadowed by Tosu’s late defeat, conceding an 87th-minute goal that leaves them second bottom of the table with just three wins to their name this term. Tosu are averaging less than a goal a game so far, so the arrival of Torres should certainly add some much-needed firepower to the team. Sagan Tosu have been participants in J1 for six seasons now and after a respective eighth-placed finish last season it was hoped the club could grow further still. Sagan’s Italian coach, Massimo Ficcadenti has led something of a nomadic career, having managed a string of modest Italian sides including Verona, Reggina and Cagliari before taking the plunge to move to FC Tokyo and then Tosu. However, a win percentage of just 35% to date could see Ficcadenti’s position at risk if this form continues. Meanwhile Iniesta’s new employers Kobe have also been considered a mid-table outfit in the last few campaigns. They’ve certainly cemented their place back in J1 since gaining promotion from J2 in 2013-14. The financial power of owners, Rakuten has also helped them get the deal for Iniesta over the line, holding off the financial might of the Chinese Super League. Big-spending Chongqing Lifan were initially thought to be front-runners for Iniesta’s signature after it was announced he would be leaving the Nou Camp. Despite Iniesta’s departure from Barca, the Catalan club remain 4/5 favourites with Betway to claim the 2018/19 La Liga title as of July 25. The J.League has a proud history of bringing exciting foreign talent to Japanese football. It dates back all the way to the great Brazilian, Zico, who turned out for Kashima Antlers after spending the rest of his professional career with Brazilian side, Flamengo. England’s archetypal poacher, Gary Lineker was the first major import for the inaugural J.League, arriving to play for two seasons with Nagoya Grampus Eight. Brazil’s iconic captain, Carlos Dunga also played a season with Jubilo Iwata in 1997, helping them to win the championship, and receiving the league’s MVP honours as a result. More recently, Hulk was the first example of a foreign player starting their career in the J.League rather than ending it there. Hulk began quietly at Kawasaki Frontale, before hammering home 62 goals for Consadole Sapporo and Tokyo Verdy in J2 before earning his first big-money move to Portuguese giants, FC Porto. Various other Brazilians have made their mark on the J.League too, including Leonardo and Jorginho. Although, arguably the greatest foreign player to grace the J.League may well be considered to be Yugoslavian, Dragan Stojkovic, who was three times named in the J.League’s Best XI, as well as earning MVP honours for Nagoya Grampus Eight in the mid-90s. It remains to be seen whether Iniesta or Torres will have the same impact as a Hulk or a Stojkovic, but the former certainly seems to be in it for the long haul. The 34-year-old signed a three-year contract with Kobe, which will be music to the ears of German striker, Lukas Podolski, who is another key member of the Kobe squad and will be looking forward to linking up with the Spaniard for the remainder of this campaign.